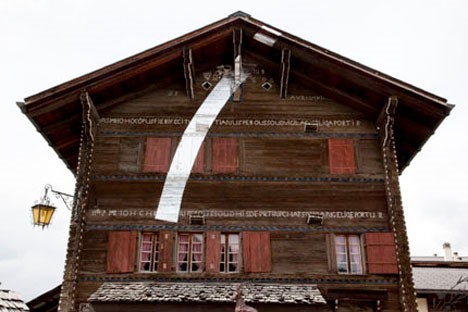 Artist Felice Varini has been playing with the art of illusion since 1979. 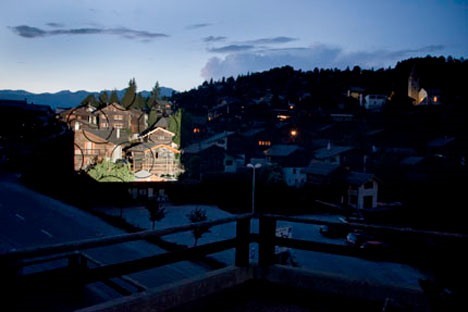 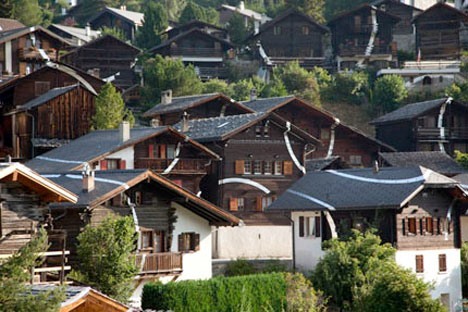 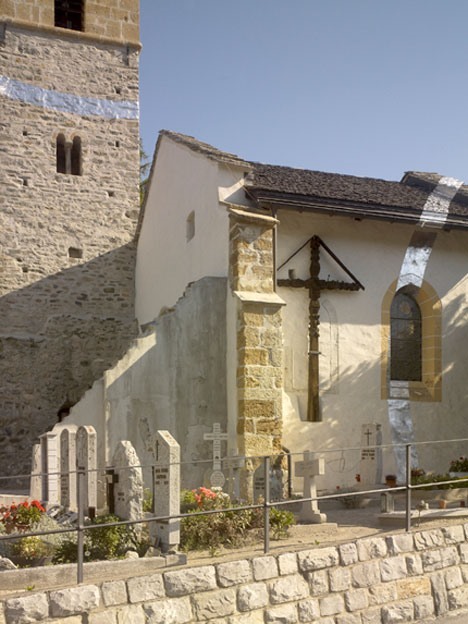 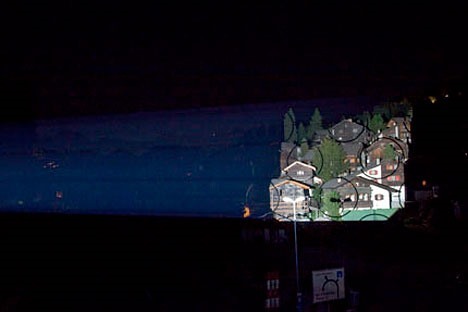 This piece takes on the incredible scale of an entire Swiss village. 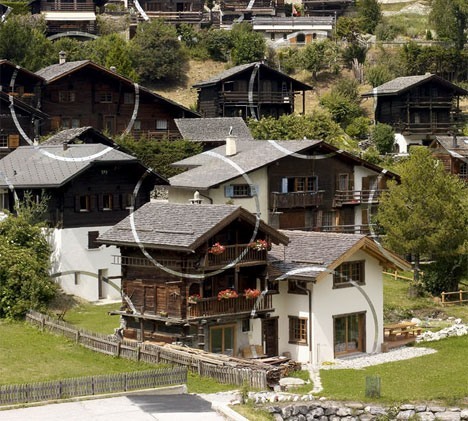 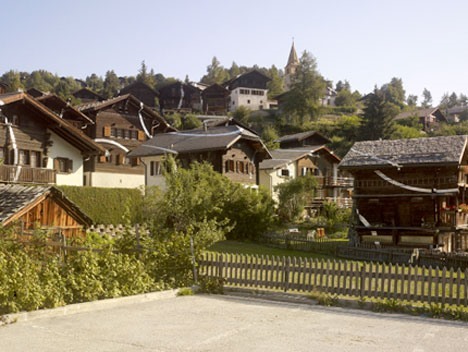 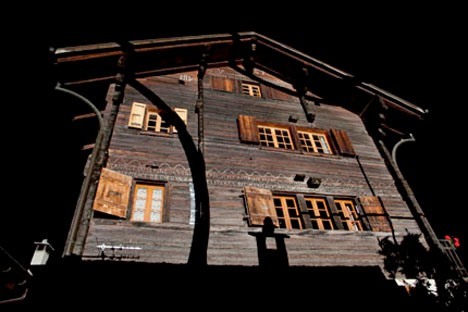 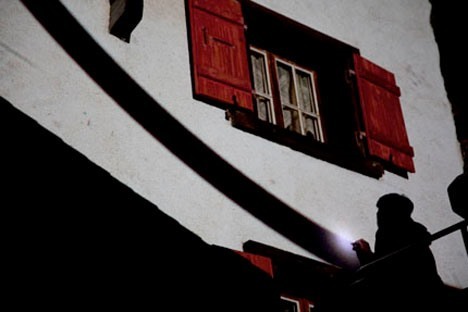 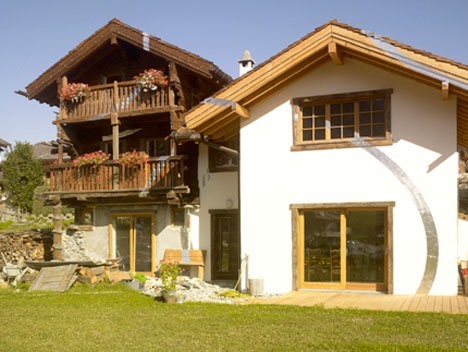 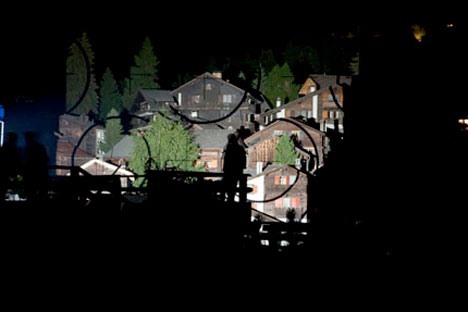 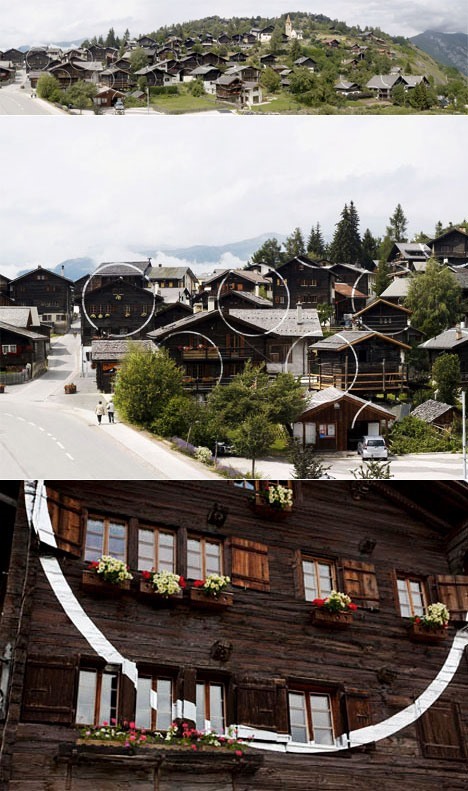 "In Cercle et suite d'éclats, Varini...superimposes perfect circles on the town of Vercorin in the Swiss Alps. 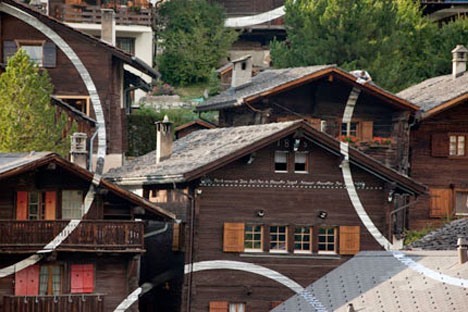 From inside the village, the graphic is fragmented and impossible to read, but from a nearby vantage point, the lines come together to form a series of rings."